· This soft and durable dog crate is ideal for homes, vehicles, indoor, and outdoor use. It includes a washable cushion, handy pocket and detachable storage bag. · M-PETS crate comes in a wide variety of sizes to provide the perfect shelter for your pet. · Quick and easy setup and take down - Our lightweight design sets up in seconds and easily collapses for easy portability and storage. 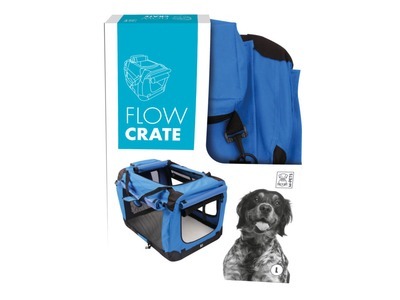 · This pet carrier includes a mat for your pet to comfortably sit on, which is washable and can be removed. · Mesh screen doors provide easy access to pet inside. The ventilation windows allow air-flow and an outdoor view for your pet while traveling. 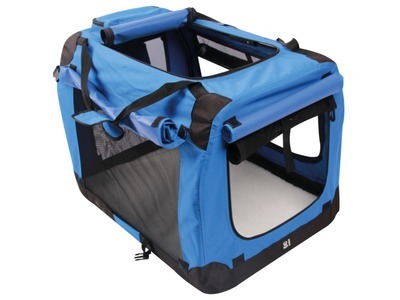 · Easy to care for, this pet carrier can be wiped clean using a damp cloth to ensure a clean habitat for your pet.